We will start our tour on 23 and 24 February in the state of Salzburg. The valley station of the 12er Express cable car, which is part of the coolest ski resort in Austria and directly connected to the freeride hotspot Fieberbrunn, will be transformed into freeride heaven. The FreerideTestival continues its journey on 16 and 17 March in Vorarlberg, more precisely, in Warth-Schröcken am Arlberg. With approximately 11 meters of powder snow per year, this ski resort provides the largest amount of natural snow in Europe. The area of the event is located at the valley station of the Jägeralp-Express chairlift. The FreerideTestival ends its tour after 30 and 31 March with its stop in Kaunertal valley, which is located in the sunny Tyrolean Oberland (the part of Tyrol west of Innsbruck). 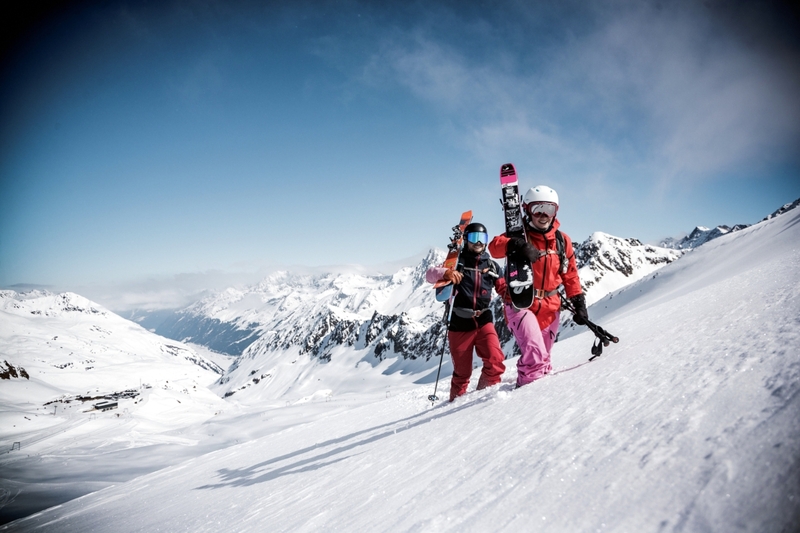 The freeride hotspot Kaunertal Glacier is one of the best and most snow-sure freeride places in the Alps. Perfekter Abschluss der FreerideTestival presented by BMW xDrive 2019 Tour am Kaunertaler Gletscher! Es war alles dabei: Sonne, Neuschnee und eine spitzen Stimmung. Wir sagen Dankeschön!